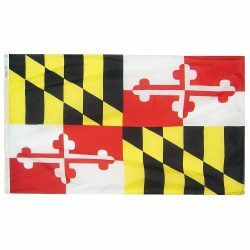 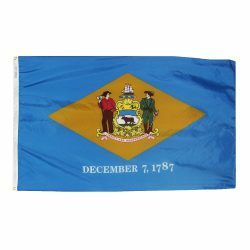 ﻿ Maryland State Flag | American Flagpole & Flag Co.
All of our state flags are constructed to the official design specifications of the individual state. The state flags have four rows of lock stitching with back stitch reinforcements. 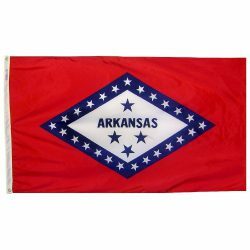 The top and bottoms of the flags have two rows of stitching along the hems. 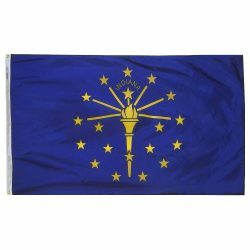 The flags are finished with a white canvas heading and two brass grommets. 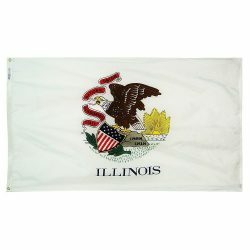 Our flags are all made in the USA by a manufacturer that belongs to the Flag Manufacturer’s Association of America.